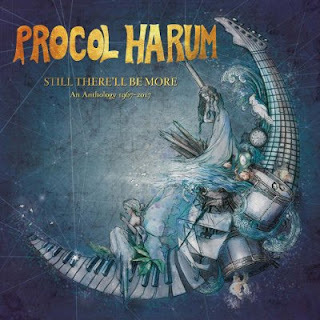 Esoteric Recordings has announced two new anthologies for the progressive rock pioneers Procol Harum. 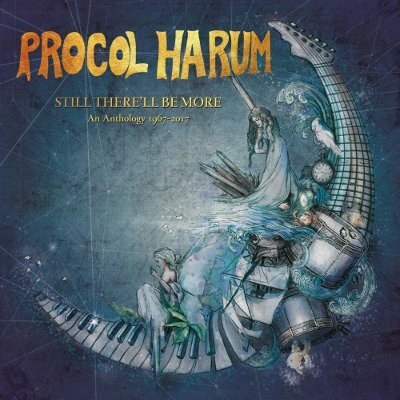 Still There'll Be More: An Anthology 1967 - 2017 will be released as a 2-CD set and a deluxe 5-CD and 3-DVD box set, both drawing music from throughout Procol Harum's career. The 2-CD set contains 29 tracks drawn from all of the band's albums along with key singles and includes an essay by Patrick Humphries along with previously unseen photographs from Gary Brooker's personal collection. 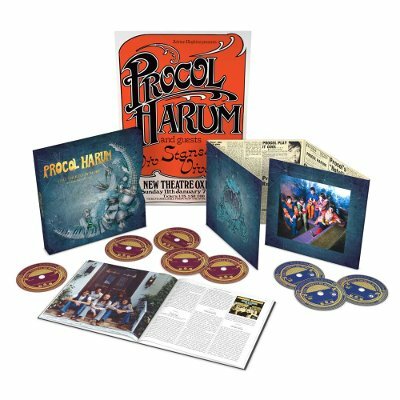 The eight-disc set has five-CDs of music including 69 tracks from the band's albums and singles, plus two previously unreleased concerts from the Hollywood Bowl in September 1973 with the L.A. Philharmonic Orchestra and a March 1976 show from the Bournemouth Winter Gardens. Also in the package is a 68-page illustrated hard-backed book feturing essays by Patrick Humphries and band authority Roland Clare along with the previously unseen photos and memorabilia from Booker's archive.